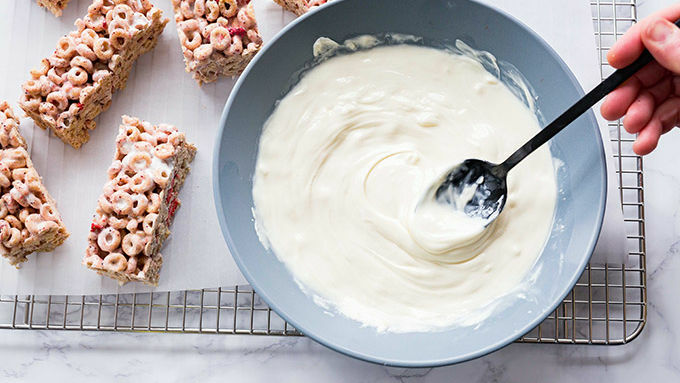 What happens when you take the classic milk-and-cereal combo, and turn it into a tasty krispy bar? 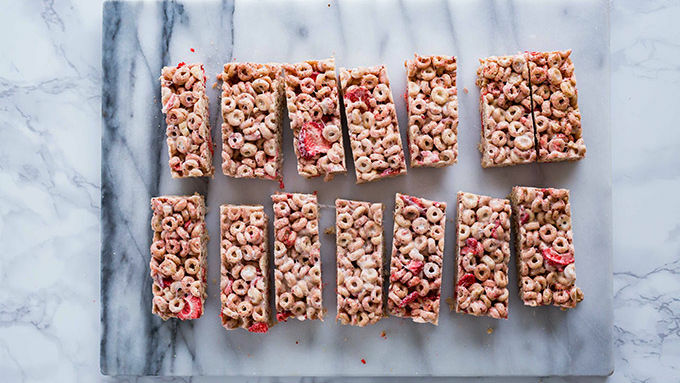 These Berries and Cream Cereal Bars come out of your kitchen, and all the world is berry beautiful. (And tasty, too!) You start this recipe as you would with any krispy bar, melting together butter and marshmallows. But this is where we divert from the traditional. 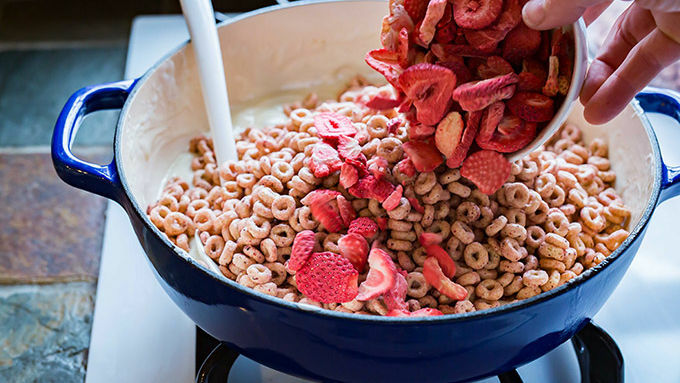 Instead of crispy rice cereal, freckled pink Very Berry Cheerios™ are stirred in. And a pouch of tangy freeze-dried strawberries. But that’s not all! 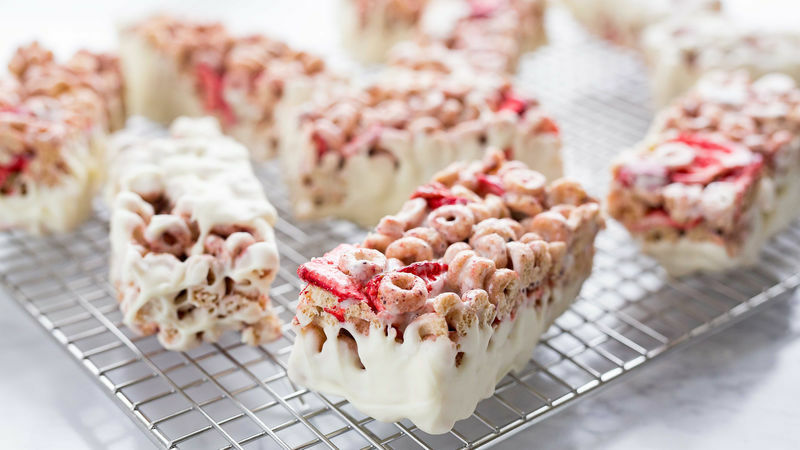 Once dry, the bars are dipped in a Greek yogurt icing, just to finish off that strawberries and cream combo. And it’s a winner! 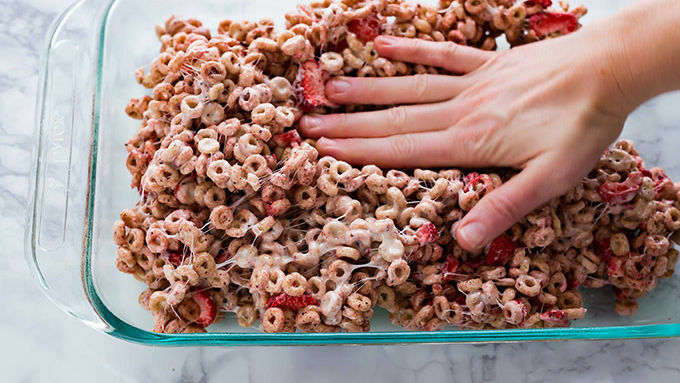 If you’re craving something crunchy and sweet, but a bit different from the plain old, grab a box of Very Berry Cheerios™ and get your crispy on. You’ll be berry glad you did.